In-depth Magazine has been launched to highlight the issues of Nigeria to the global world. We are specifically devoted to critical evaluation and analysis of issues bringing in expert opinions and authoritative citations from materials. We are based in Nigeria, with members of staff presently working from Nigeria and India. The website also explores international issues with contributions from some foreign writers. You can reach us for advert placements, contributions, suggestions or complaints. 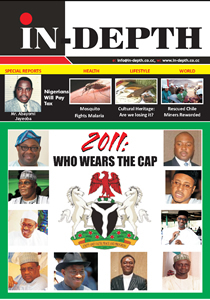 In-depth Magazine has been launched to highlight the issues of Nigeria to the global world.